An expert team of teaching artists and certified kids yoga instructors. Inspired by the play-based education philosophy of Reggio-Emilia, the Responsive Classroom and the musical pedagogy of Émile Jaques-Dalcroze and Zoltán Kodály, Yo Re Mi seeks to encourage individuality and communication between children as active collaborators in their learning environment. We sing through yoga poses and discover rhythm, pitch, tone and tempo with our bodies. Through multiple sensory inputs we engage children at all levels, areas of interest and attention. We nurture a non-competitive environment where creative ideas are welcome and children may influence the direction of our learning. Rachel Costello and Dan Costello created Yo Re Mi while teaching after-school classes in NYC. Dan was a music teacher incorporating a lot of dance and physical movement. Meanwhile, Rachel was singing through her entire kids yoga class. One day, they combined their classes, wrote some originals songs for their yoga sequences and Yo Re Mi was born. Children were instantly engaged by the new material and loved sharing their own ideas for adventures that would take them to outer space, the jungle, other countries or their own back-yard. Dan and Rachel continued writing and developing, and now there are hundreds of Yo Re Mi songs, videos, and lesson plans which are customized to the needs of individual classrooms. Yo Re Mi teachers are professional musicians and certified yoga instructors with experience in early childhood education. Rachel Costello is a professional touring musician and Yoga Alliance registered teacher (ERYT200, RCYT, RPYT, YACEP) specializing in hatha, vinyasa, prenatal, postpartum, as well as yoga for labor and delivery. 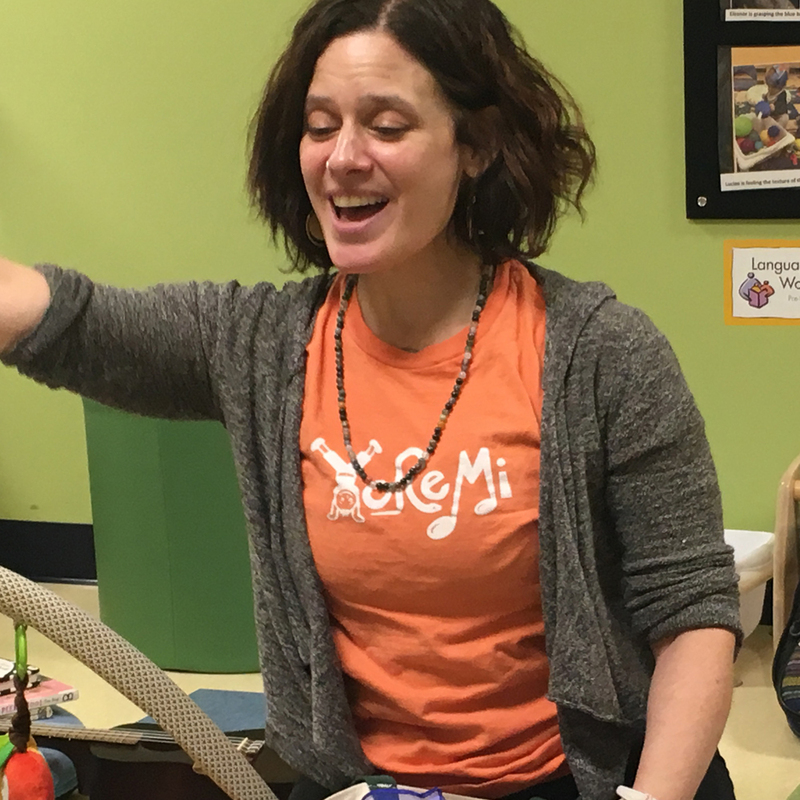 Through Yo Re Mi Rachel brings musical yoga enrichment to children all over NYC. Rachel provides professional development for adults that want to share yoga with children, pre-teens, teens and special needs youth. Rachel has been teaching both adults and children since 2005 and believes yoga is a perfect way to harness our innate energy to increase self-awareness, confidence, health, positivity and balance, while having FUN! Dan Costello is a professional musician, music educator and certified Children's Yoga Instructor (KAY) specializing in early and elementary education. 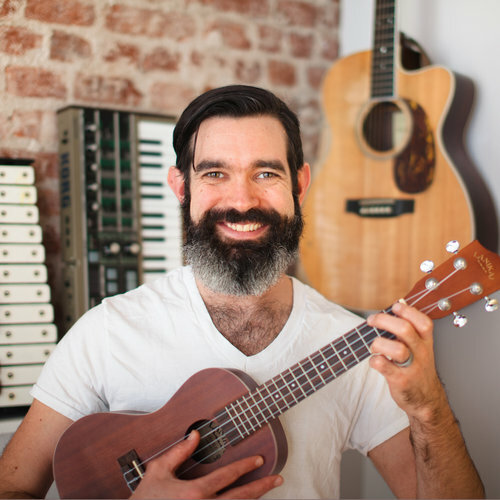 A music teacher for ten years, Dan has developed music education curriculum which combines movement-based activities, joyful sing-alongs, and songwriting. Dan plays piano, guitar, clarinet, drums, ukulele, and just about anything he can find. He plays in bands and writes songs for children and adults. His favorite songs are the ones we sing together. Bridget Saracino is a 200-hour National Yoga Alliance registered Yoga Teacher. She received her teaching certification from YogaWorks and deepened her study by training in musical yoga with Yo Re Mi. In addition to teaching yoga, Bridget is a professional actress and musician with a Master of Fine Arts in Acting from Brown University/Trinity Repertory Co., and a Bachelor's of Arts in Theatre Arts from Cornell University. She acts professionally in theatre, voiceover, and commercials across the country. Bridget is also a theatre educator, specializing in play, voice, dialects, and movement for children and adults. Best known as a rapper, founder, and front-person in Brooklyn-based NOLA-funk/hip-hop band Big Village Little City, Forefeather Zac Hills-Bonczyk is a musical entertainer, presenter, event host, ecstatic dance guide, yoga teacher, yoga DJ, podcaster, and unapologetic bliss enthusiast. The youngest in a family of four Kripalu-certified yoga teachers and a student of hip-hop since childhood, Zac believes the key to a fulfilling life is unrestrained immersion in the present moment, whether through music, yoga, dance, or otherwise. Featured on the Wanderlust Summer Tour of 2017 to offer a series of unique workshops that fused beatboxing with yogic breathing techniques, he has been working to bridge gaps between ancient and contemporary practices since 2011. Shelley is Kripalu-certified yoga teacher. Daughter of a dancer and poet, Shelley's love of teaching movement and music stems from her own love-filled and imaginative childhood. Her work as an actor and writer has been produced throughout the country. She has a B.A. in dance/drama from Kenyon College and a Masters in acting from Brown University. Being a part of the Yo Re Mi team adds so much to her creative pursuits and happiness! Isaac Gillespie has been an early childhood educator since 2011. As a teaching artist at the Children's Museum of the Arts, a camp counselor for Hispanic Family Services Arts & Literacy Camp, certified Children's Yoga Instructor (KAY) and as a Yo Re Mi teacher, he has enjoyed spreading the joy of music, art and movement. Isaac is an independent touring musician and film artist. His favorite color is green. Lauren Kelly Benson is a 500-hour Yoga Alliance registered yoga teacher. She received her 200-hour yoga teaching certification in Vinyasa flow from Sacred Brooklyn in 2013. She then deepened her study and education through a 300-hour intensive specialty training with Rainbow Kids Yoga in 2015. Teaching all ages from baby through high school, Lauren has volunteered teaching yoga to incarcerated youth on Riker’s Island, facilitates a Mommy and Me yoga group, offers one-on-one private sessions, teaches a wholly integrative yoga curriculum at La Cima Charter School, and is a hot Vinyasa flow teacher and children’s yoga and theatre teacher at Sacred Brooklyn. In her free time, she is a singer/songwriter, activist, teaching artist, and founder of Aditi Flow and Creative Wellness. Bringing yoga, meditation, and music education to black and brown youth and schools, activists, and artists, Aditi Flow is designed to expand access to the healing modalities that Lauren loves. Jessie White is a heart-centered artist, educator, and mom of her beloved ten year-old. She has spent the last twelve years teaching music immersion classes to very young children for the acclaimed international program Music Together, becoming a highly revered teacher in Fort Greene and Clinton Hill. Jessie is also a Certified Movement Analyst (CMA) having completed the graduate program at The Laban/Bartenieff Institute of Movement Studies (LIMS). As a songwriter and singer, she helped form the trio Tres Leches, known for their world-inspired originals and re-envisioned classics. She is proud to share her love of music and movement with children! Amy is a singer and art event coordinator in NYC. The daughter of two music teachers, she grew up in an environment centered around art, music, and early childhood education. By night, she can be seen running her 8 piece brass band and hosting Jazz jams around the city. She has taught art, music, dance and yoga to children and Yo Re Mi allows her to do all of it! Shelley is an educator of movement and dance, a yoga instructor, musician and dance performer. She currently performs with Monteleone Dance and The Dancing Georgina Project. She earned her B.F.A. in dance from Rutgers University and resides in Brooklyn Shelley is grateful to be teaching children with a several organizations in the NYC area and is especially thrilled to have been welcomed into the Yo Re Mi teaching team. Magdalene is a Dominican-American yoga teacher who currently lives in Brooklyn, NY. She loves Yoga, Dance and Music! She is certified through the Niroga Institute and Asana Alphabet to teach children, youth and adults. The Brooklynite is committed to teaching inner city kids and their caregivers. She has experience leading workshops and classes at Girls Inc NYC, Brooklyn Friends School, the Coalition for Hispanic Families, and many more.